On a weekend of beautiful spring sunshine LPS athletes hit the roads picking up titles and PBs. It was an early start to the weekend as on Friday night five of our runners made the journey to Cheshire for the very fast and popular Christlelton 5k. 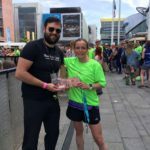 First LPS runner home was Mark Wynne in 43rd place in 16.22 however the star performance of the evening was by in form Kirsty Longley who shot to the top of UK rankings in V/40 with an amazing PB of 16.44! She was second overall in the female race narrowly beat by Rachel Burns by 2 seconds. 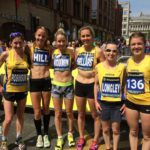 Helen Sahgal 18.22 and Lisa Gawthorne both dipped the 19 minute while Hillary Honeyball warmed up for Sunday’s marathon with a fast 19.36, impressive running by all these five athletes. Sunday saw both Kirsty and Hillary on the roads again albeit in different events this time. 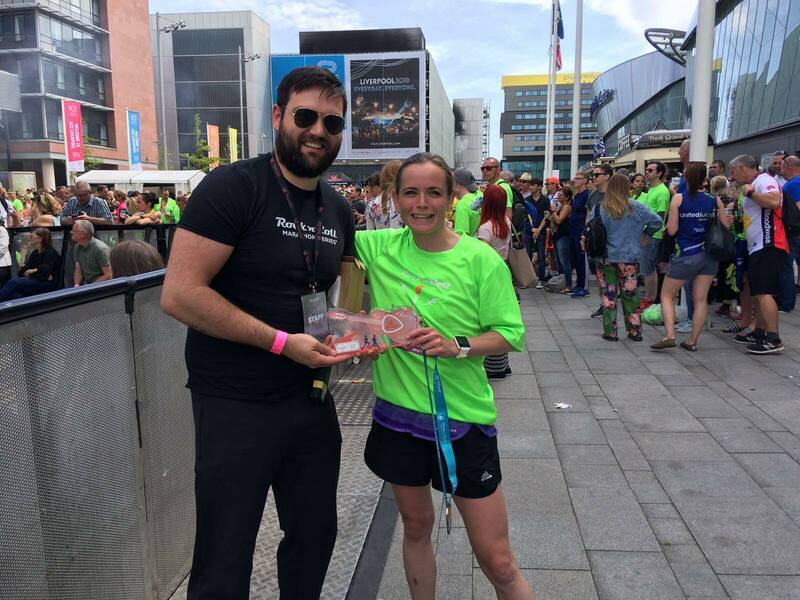 Kirsty made the short trip to Manchester to run for the North of England in the Simple Health Great Mancherter 10k, she finished 5th British woman home and was second counter for the North with a time of 35.44. 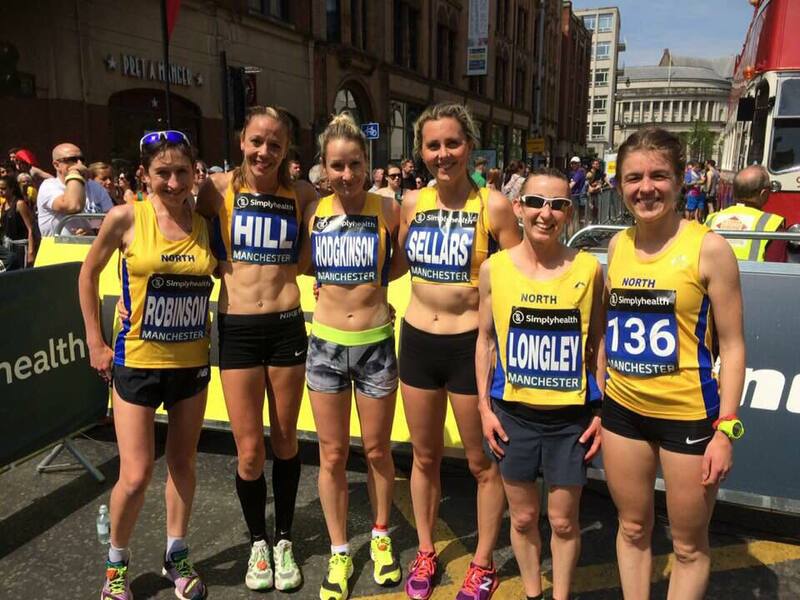 Hillary choose to run closer to home and won the woman’s race in Liverpool Rock n Roll marathon in 3.13.38 in very hot conditions. I believe this is a first in the clubs long history that we have a female marathon winner to add to the distinguished list of male marathon runners over the past 129 years. Well done Hillary a first of some note. 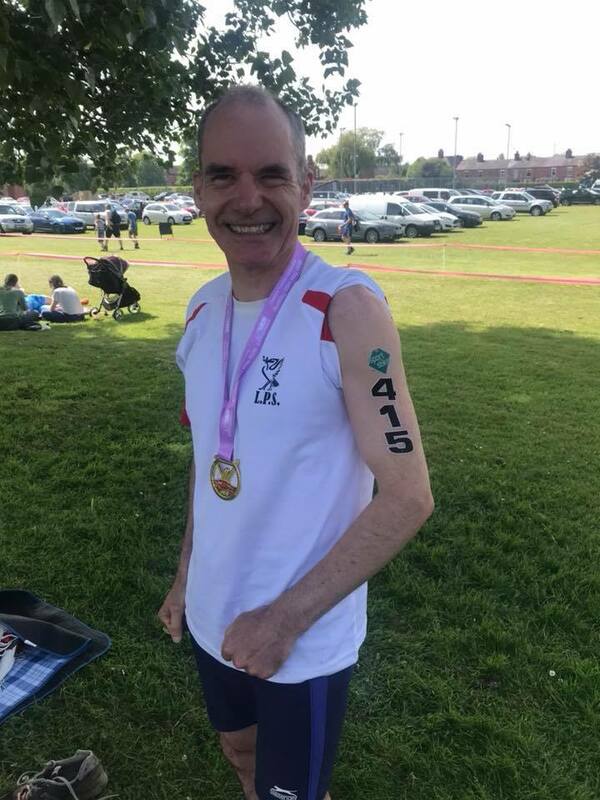 Meanwhile over in Nantwich on Sunday John Halson took part in the Cheshire triathlon, his first attempt at this event. 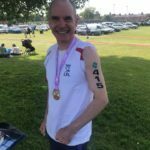 It was a short course triathlon consisting of a 500m pool swim followed by a 21k bike ride then a 5k run. John returned a very respectable performance completing the event in 77.16 and was 97th overall and 4th over 55.